Activists in Papua continue to voice their discontent with Indonesia's central government, calling for greater autonomy to help improve the region's socio-economic problems. Health and education indicators in Indonesia's lesser-known province are in dire need of attention, experts say. The region - an area half the size of Brazil and home to just 1 percent of Indonesia's population - has long been the scene of political discontent. "There is growing frustration between the government and Papua, and [President Susilo Bambang] Yudhoyono needs to explore potential action policies directly with leaders," International Crisis Group (ICG) Southeast Asia programme director Jim Della-Giacoma told IRIN in Jakarta. The people of Papua want their political autonomy expanded, affirmative action policies strengthened and fears of migrants from other parts of Indonesia taking jobs allayed, he said, referring to ICG's recent report on the region this year. "If not, these three issues will lead to an increase in radicalization and remain an obstacle to Papua's Special Autonomy." Behind these concerns is a perceived need for the government to do more to provide basic services. Worries about HIV/AIDS, tuberculosis (TB) and malaria in Papua are exacerbated by a poor healthcare infrastructure, say aid workers. The 2010 UN Development Programme (UNDP) Report states that Papua has the highest number of HIV/AIDS cases in Indonesia with a prevalence rate of 2.4 percent, against 0.2 percent across Indonesia, according to the National AIDS Commission. In Papua, HIV has been categorized as a "generalized epidemic", meaning more than 1 percent of the general population is affected by HIV, according to the World Health Organization (WHO). Even so, efforts to mitigate the virus's spread have been limited, aid agencies say. Not enough support is provided for malaria or TB either, said Naomi Sosa, from the local NGO Yasumat, who works in Yahukimo regency in the eastern highlands. "There is currently an under-reported TB epidemic and it seems to be increasing in intensity," she said. WHO also classifies it as a generalized epidemic, with 2.5 percent of the population affected. Policies addressing the needs of this remote province need to be more pro-active, say activists. "The government's work is largely reactionary rather than preventative," Sosa said. Despite the fact that Papua is rich in natural resources - including oil, gas, and timber - many worry the region's underperforming education system is also holding back development. According to the UN Children's Fund (UNICEF), secondary school enrolment in Papua is only 60 percent compared with a national average of 91 percent. Sosa says authorities should start by increasing funding, while at the same time expecting more from teachers. "There is also low capacity in the local government to coordinate education delivery," she said. "Staff members are rarely in their offices and do not show awareness [of educational] programmes." Compounding matters is an acute teaching shortage, with no functioning teacher monitoring system in place. "It is impossible for the local education department to ensure teachers are at their posts. And teachers can get away with keeping operational funds for personal reasons," Sosa said. Officials, however, say the government is working hard to address all Papua's development needs. "The government has fulfilled its role in providing assistance at the village level," said Agus Sumule, spokesman for Papua's governor, Barnabas Suebu, citing his Strategic Plan for Village Development, in conjunction with the World Bank, known as RESPEK. The programme allocates grants of about US$60,000 per village, providing they design their own development initiatives. "We are trying hard to address the issues, whether they are social, economic, cultural or political," he said. Papua's status as the province most vulnerable to food insecurity in Indonesia, according to the World Food Programme (WFP), is improving, however. Working with the government, the agency has developed a National Food and Nutrition Action Plan for 2011-2015 in a bid to eradicate poverty and hunger in line with the country's Millennium Development Goals (MDGs), WFP Indonesia deputy country director Peter Guest said. "The government is taking this issue very, very seriously," he said. Conflict prevention experts do not, however, think the longstanding political grievances are being addressed effectively and believe these are even more key to improving Papua's socio-economic condition. 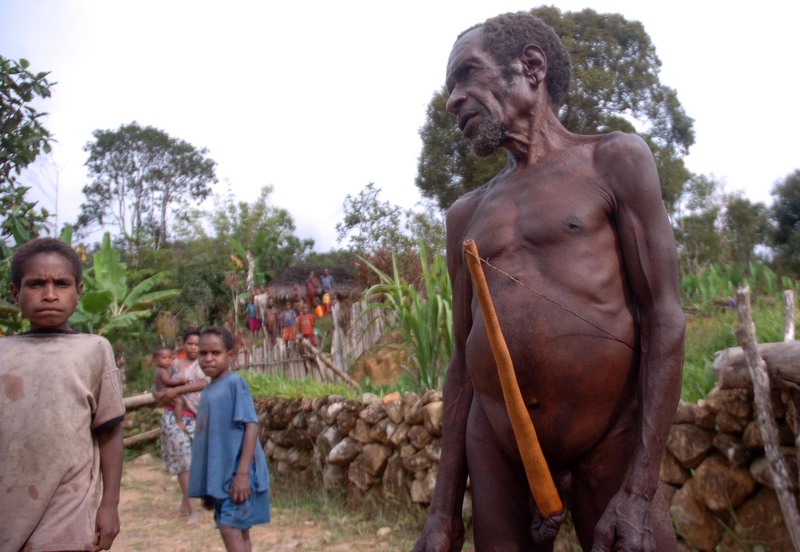 UNDP says about 35 percent of Papua's population lives below the poverty line. This contrasts with a national average of about 13 percent, according to the Central Statistics Agency. "The central government so far believes there's no problem," said Muridan Widjojo, a Papua expert from the Indonesian Institute of Sciences (LIPI). Just this year, Political, Legal and Security Affairs Minister Djoko Suyanto and officials within the president's office disregarded his research results when he presented the minister with a LIPI study on Papuans' discontent with the government. But Widjojo is not worried by the setback. "We will not give up on organizing constructive communication with Jakarta," he said.